Hello everyone, how are we all today? I’m not sure where to start because a lot has happened over these past few months. First, I realize how long it’s been since the last update was released and I do apologize for that. I’ve been directing all of my focus toward the work described below and, as such, have been putting off writing this update for all of you. With that out of the way, I want to take a few minutes today to fill you in on what’s been happening. So first some good things. We’ve been working with our hardware designer from New Jersey to create the new electronic design and it couldn’t have come out any better. They were able to hit all the dimensional constraints that we put on the project, meaning we should be able to use the original design from when we first launched. The software that we’re building to run the pen is right on track and is where we expected it to be at this time. Initial tests are showing that our optical character recognition (OCR) system, the part of the software program that takes picture files and converts them into text files, is now faster and more accurate than Tesseract, Google’s open source program! That’s really good news because that is the most essential and difficult portion of software stack. The not so good news is that the equity investment that I mentioned in the previous update is taking far longer to close than we initially anticipated. This was primarily due to the fact that we’re pairing the investment with a multinational distribution agreement, meaning the company that is investing in us will also be selling the product worldwide us once it’s complete. 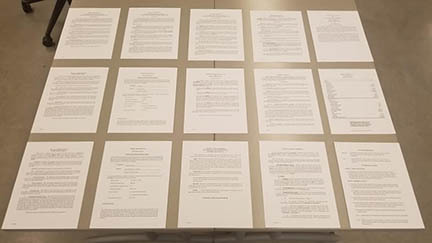 The two major agreements, along with the dozen or so other supporting documents ended up being easily over 100 pages of highly technical legal work. Upon finalization, the documents will have taken months to negotiate, draft, revise, review, execute. This all has resulted in delays to our development schedule as we await the funding from the investment. If the investment had come to a close quickly and easily then we may very well have been in production by now. Unfortunately the delay in the investment put the product development into a holding pattern for a little bit. For example, we were able to continue onward with the design of the new hardware but were unable to move forward into the prototyping stage. This slowdown, while certainly frustrating at times, hasn’t been all bad by any measure. Instead of just rushing forward, as we may have done otherwise, and possibly making mistakes, this slowdown has given us time to reflect on and double check our work while simultaneously allowing us time to develop and solidify our plans for the future. Moving forward, the next step that we are working toward is starting the production of the new hardware prototypes. Now that the electronic design is done we’ll be able to get started on the new enclosure design at the same time. We’ll be working with an experienced mechanical engineer that we’ve been paired up with through a engineering and design matching platform called Evocativo. Once the enclosure design is finished and the hardware prototypes are produced, we can test them both for fit and make any alterations to the enclosure that needs to be done. From there, the electronics will undergo regulatory testing (FCC for the United States, CE for the European Union). Once approved we’ll be able to begin production. I’m hesitant to make any more predictions as to the expected shipment date because of how poorly we’ve been able to make that prediction in the past. It’s incredibly frustrating, on both sides I’m sure, to expect things to progress in a certain way and on a certain timeline only to discover that not to be the case. However, I know that the question on everyone’s mind is, “How much longer am I going to have to wait?” Reluctantly, I’ll say that I could see orders being delivered as early as January, though we won’t be certain until all of the parts have been manufactured and delivered to us for final assembly. Until then we’ll keep working and make sure to do everything in our power to move things forward as fast as reasonably possible.